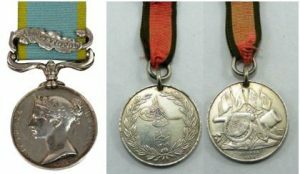 Birth date and place 9 Feb 1828 Castledermot, Kildare, Ireland. Physical Description Height: 5 ft. 9 ins. Complexion: fresh. Eyes: grey. Hair: brown. 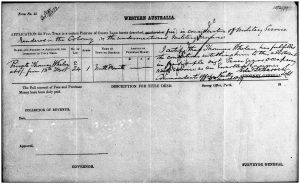 Marriage date and place 14 Aug 1871 St Patrick’s Church, Fremantle, Western Australia. Spouse Bridget MURPHY (widow of Timothy Donoghue). Children Thomas Francis b. 1872, Fremantle, Western Australia. Mary Josephine b. 1875, Fremantle, Western Australia. Margaret Helen b. 1877, Fremantle, Western Australia. Patrick William b. 1880, Fremantle, Western Australia. Catherine Mary Theresa b. 1884 (d.1888), Fremantle, Western Australia. 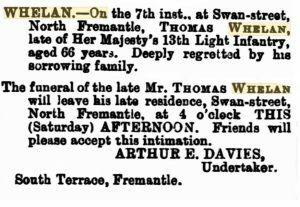 Death date and place 7 Jun 1895 Swan Street, North Fremantle, Western Australia. 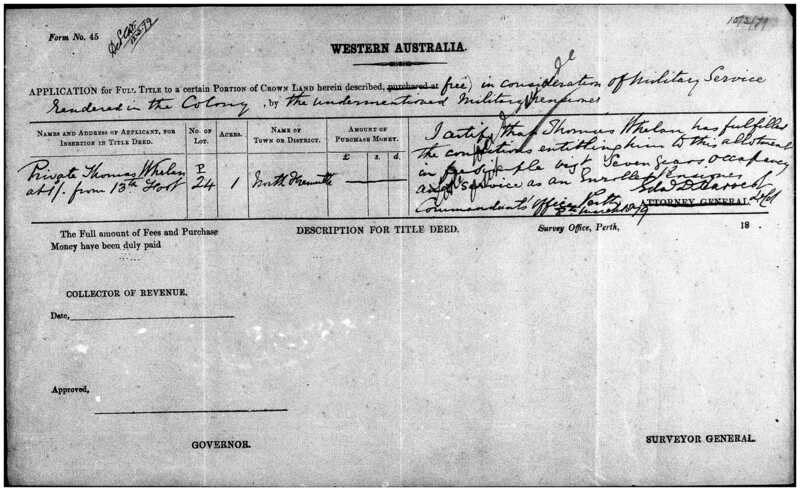 Burial date and place 8 Jun 1895 Skinner Street Cemetery, Fremantle, Western Australia. 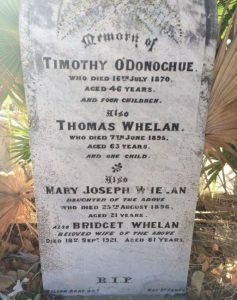 Memorial in Carrington Street Cemetery, Palmyra, Fremantle, Western Australia (see sidebar). 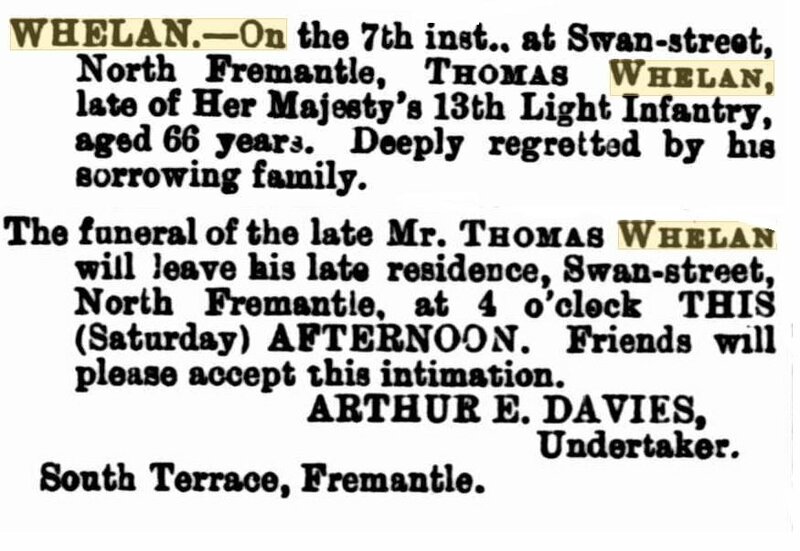 West Australian 8 Jun 1895, 10 Jun 1895. 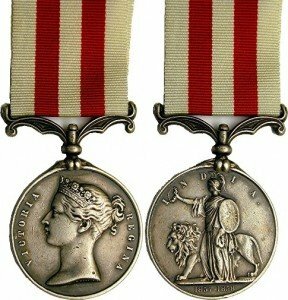 Regiment(s) 1st Battalion, 13th (Prince Albert’s Light Infantry) Regiment. Regiment No. and Rank #2082 Private. 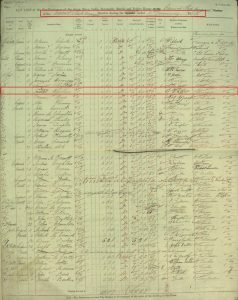 Attestation date and place 9 Apr 1845 Dublin, Dublin (under age 17 years 2 months). Casualty/Medical Wounded in the head(?) by splinter of a shell in the trenches before Sebastopol 7 Sept 1855. Pulmonary Consumption originated in India in 1863. 1st Disability – Chronic Bronchitis with Emphysema of Lungs. It commenced in an attack of Inflammation of the Lungs while he was suffering from Tropical Fever. General health much impaired -he is not likely to be able to work for a livelihood. Not aggravated by vice or intemperance. [Dover 20th July 1864]. Discharge date and place 20 Sep 1864 Dover. Length of Service 18 years 224 days. Post Discharge Residence Banagher, Kings County. Post Discharge Pension District Birr (1864) 1st Liverpool, 2nd Liverpool (1866). Western Australia (1868). Pension Amount 8d. per diem. 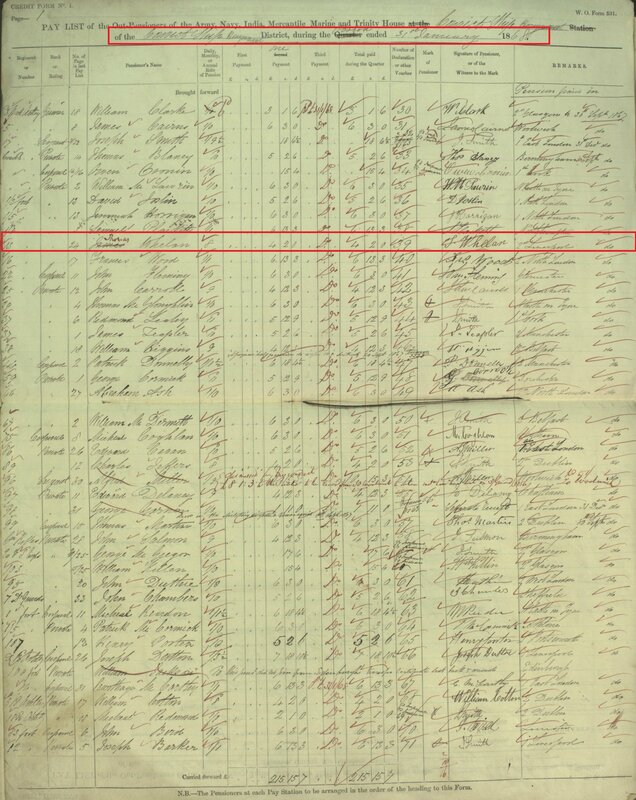 Increased to 1/- per diem on 4 Jun 1878 for service EPF. Land Grant/Purchase 8 Mar 1879 North Fremantle, Lot P24, one acre (grant). Title issued. 12 May 1878 grant approved for cottage improvements.